Oriented North-South, Las Vegas Strip starts and ends with two Welcome Signs. The first one across from Mc.Carran International Airport, is the famous Welcome to Fabulous Las Vegas which marks the beginning of the strip. The second one is after the Stratosphere tower, before you enter the Downtown which marks the exit from of the Strip. The Welcome to Las Vegas sign is right nearby Mandalay Bay, the shiny golden building in the shape of a star. Here inside you can have one of the most awesome aquatic experiences. The Shark Reef Aquarium at Mandalay Bay is unique for the fact that it’s not nearby the ocean, but in the heart of Mojave Desert. This is one of the largest aquariums in North America. It contains many species of marine animals, and features many activities and tourist attractions. If you happen to be walking the Las Vegas Strip, it’s good to know about the Mandalay Bay free tram which brings you directly to Luxor and Excalibur. 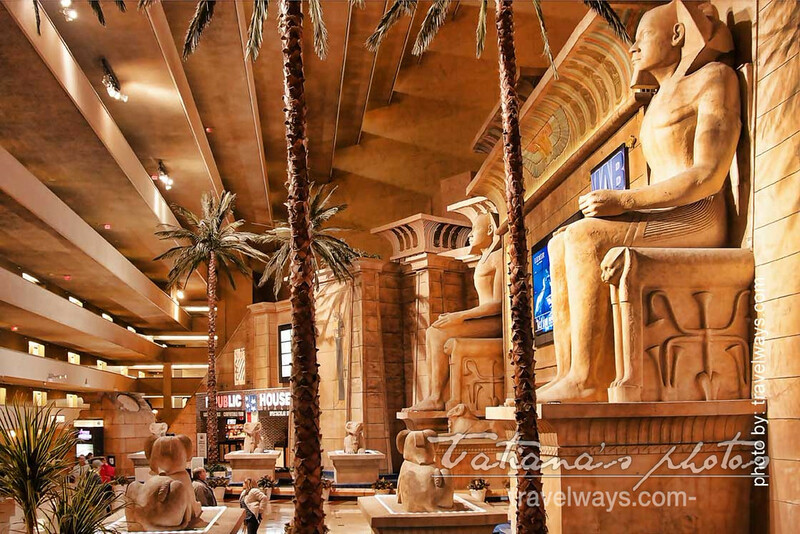 Leaving the aquatic environment at Mandalay Bay, you are right in the heart of Egypt touring the pyramids and Great Sphinx of Giza. 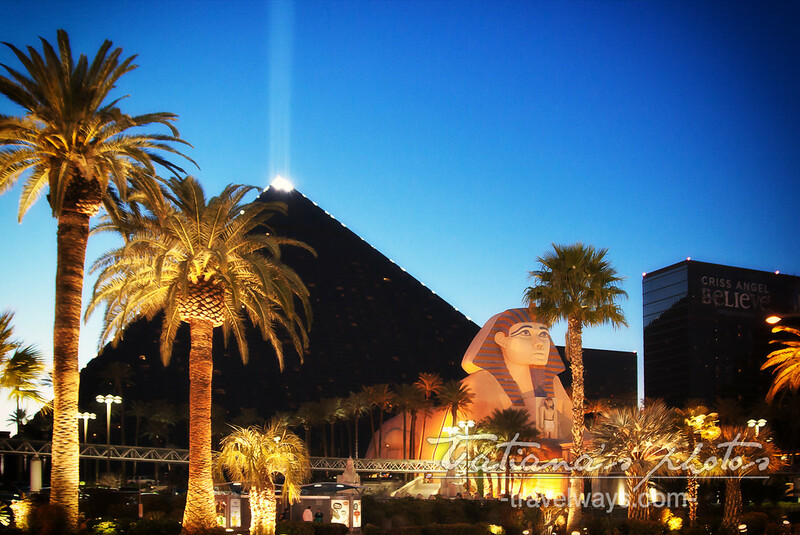 Now, I cannot tell which one of the Las Vegas Luxor hotel’s attractions is most amazing, but I can tell that the famous Sky Beam is one of them. 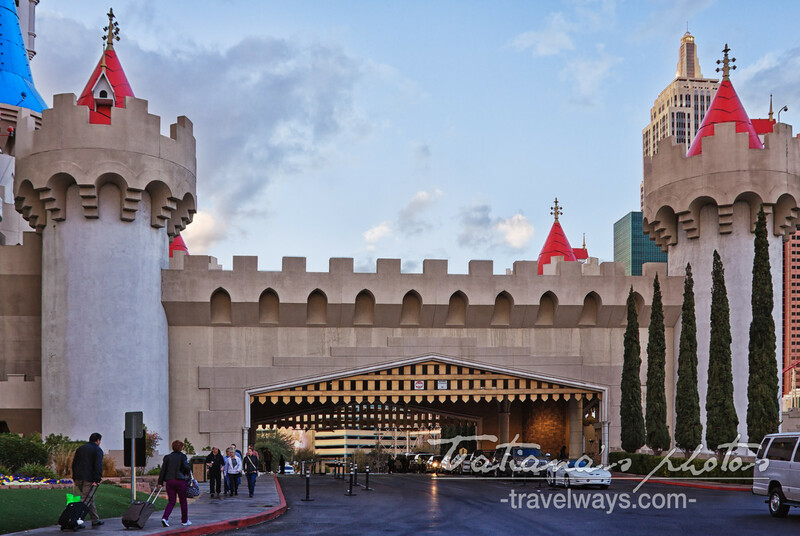 I knew about this hotel named after King Arthur’s legend, but seeing it right there on the strip is… quite different – so to say. Here, you feel suddenly in another world, especially at dusk, when the towers are illuminated. 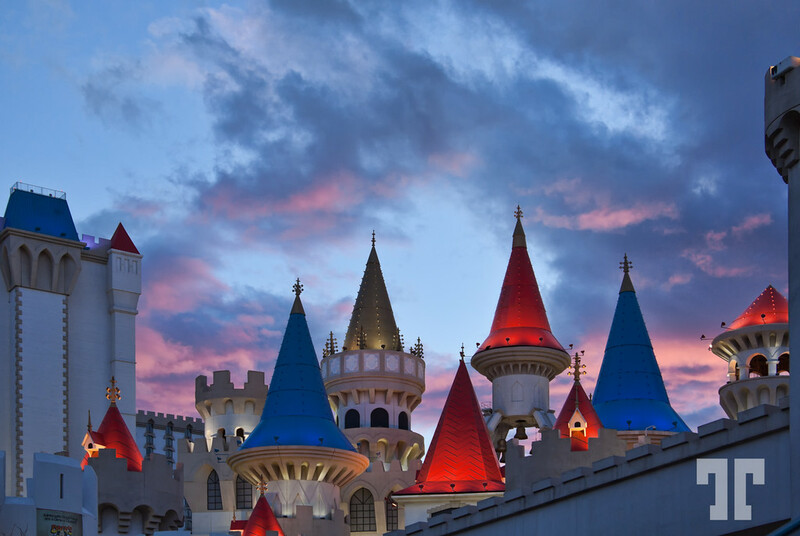 BTW, Excalibur hotel is host of one of the most popular Las Vegas entertainment shows: the “Tournament of Kings” dinner package. Would you like to meet Merlin and King Arthur in person? Not long after touring the Medieval Ages, it’s time to get back to the Big Apple…. And in case you haven’t seen the Statue of Liberty there, now is your chance! The New York – New York Hotel and Casino perfectly replicates the Manhattan skyline. Here you can see replicas of the Empire State Building, Brooklyn Bridge and even the Soldiers and Sailors Monument. And guess what? Right across the street from the Statue of Liberty, shines the famous iconic Metro Golden Mayer Lion at the not less famous MGM hotel of Las Vegas. 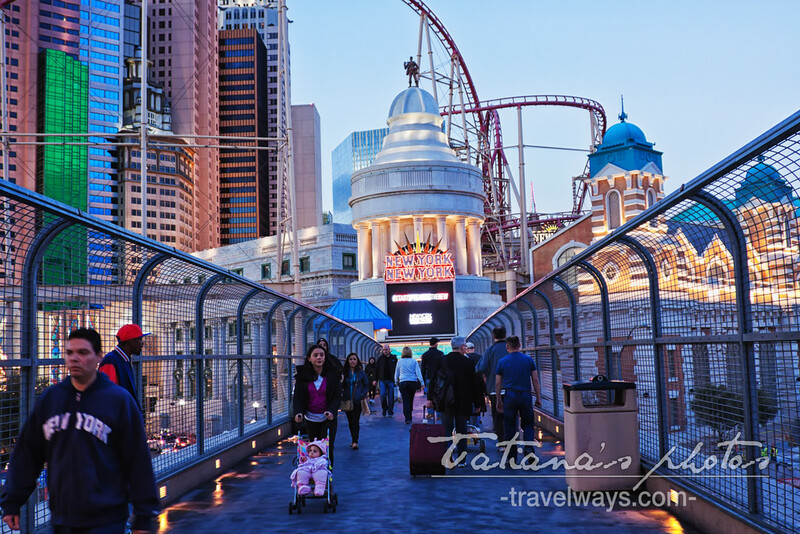 You just have to cross the bridge over the strip and you are right there. After New York, your next stop will be… Paris! You really have to go inside and see it and taste it :)! 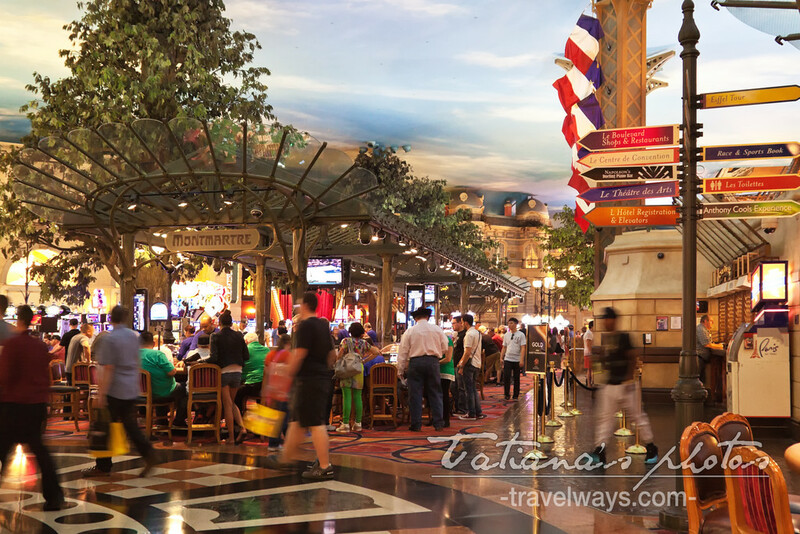 Inspired by the place with the same name on Lake Como, Italy, Bellagio is another gem of Las Vegas Strip. As grandiose as they are, the dancing water fountains of the Strip are one of the famous Las Vegas free attractions. Besides the fountains, this hotel packed with surprises, that perfectly qualify as family friendly attractions. 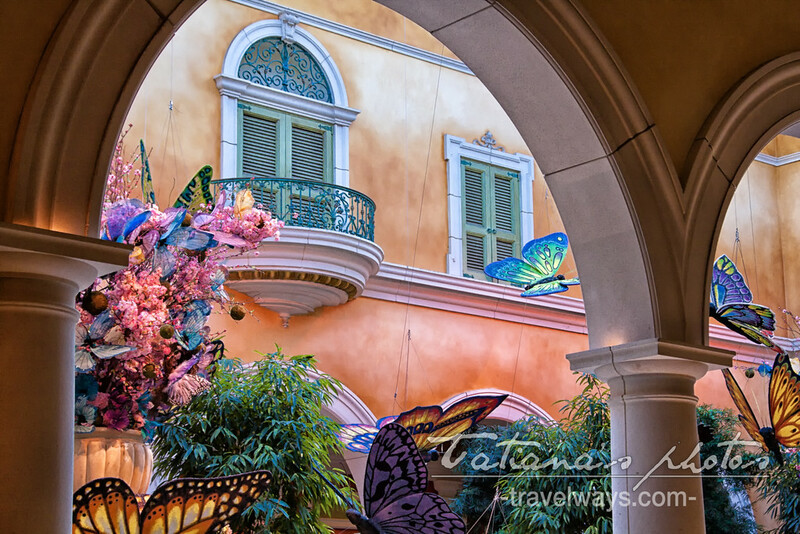 Bellagio Gardens and Conservatory is the host of ongoing changing amazing seasonal displays. – The image below is from the spring theme. When you see the Trevi Fountain on the Strip next to Bellagio, you have to know that it marks the entrance to the fabulous Caesars Palace Forum shops. Oh, Las Vegas Strip can be overwhelming right? Next hit? Well, what about Venice? 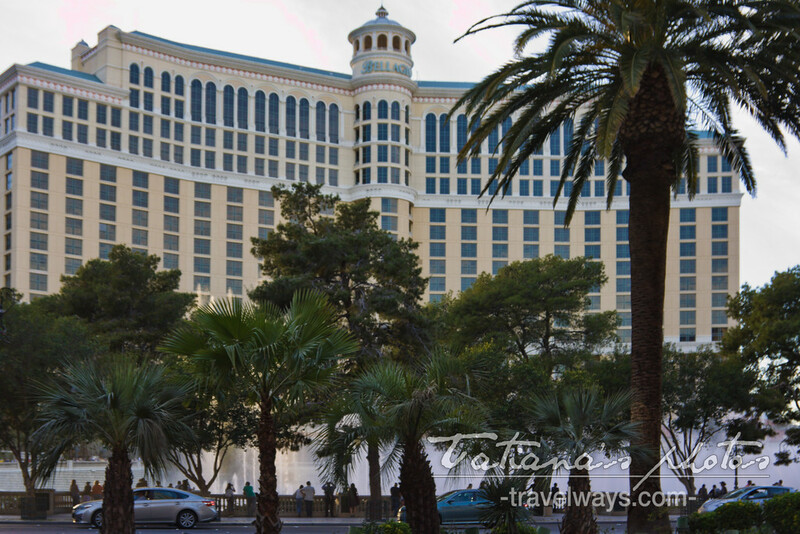 The Venetian hotel is a unique and quite unexpected feature of Las Vegas, considering that the city is located in the middle of a desert… One of my favorites! 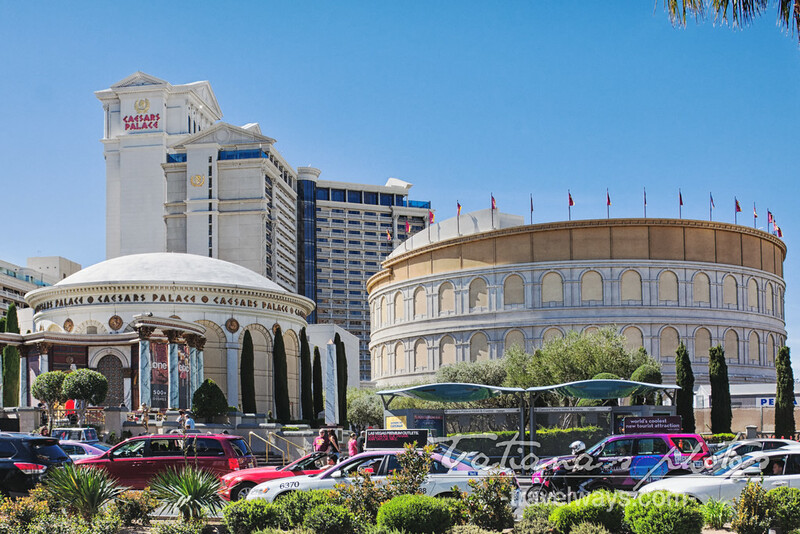 But this list is far from being complete when talking about all the Las Vegas Strip attractions. So, how can you see, experience and enjoy them? ← Las Vegas New Year’s Eve – Ring in the New Year with the Bang! Fun choice for the week Tatiana!